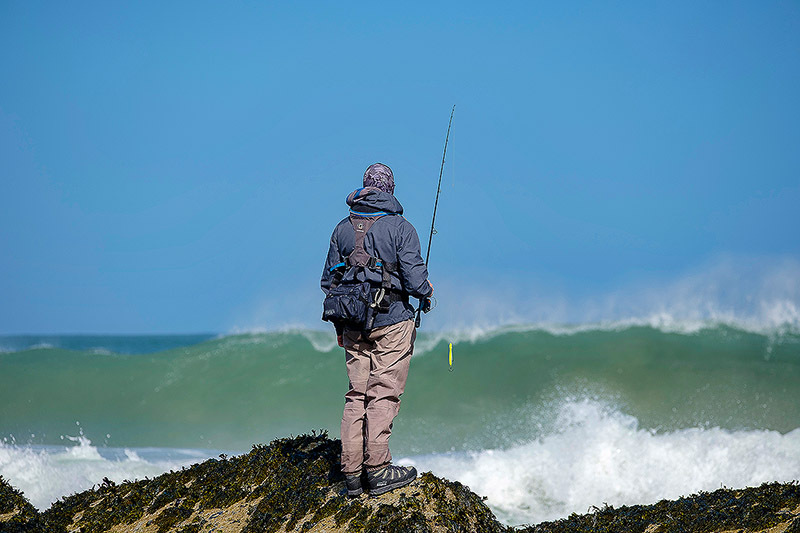 The more fishing gear I get to play with, the larger the categories within this Fishing Tackle section get, so as per the “My go-to bass fishing lures” page, I have created a new page here that summarises the bass fishing rods, reels and lines I am actually taking out fishing with me the most. 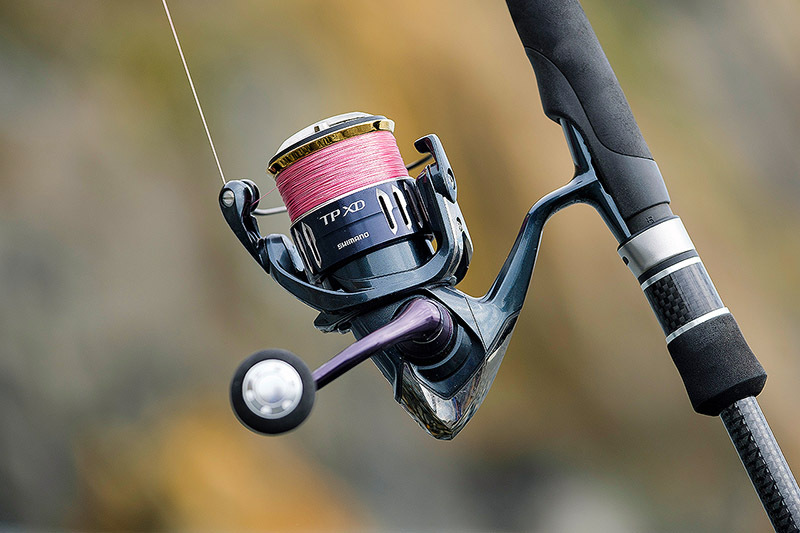 I will do my best to keep this page updated if I come across any items of fishing tackle that I end up taking out fishing in preference to what is listed below, and please bear in mind that I am often taking different stuff out as a means of testing it for future reviews. Current as of February 2019 - I will amend this date if there are any changes to my go-to bass gear below. I can’t get enough of this Shimano Exsence Infinity S900ML/RF 9’ 5-32g lure rod. Not cheap, not available in the UK, but the most perfect 9’ lure fishing rod I have ever come across. Review here. Available here, contact them to ask about stock levels. When I need a bit more grunt than the 9’ version, this recently acquired Shimano Exsence Infinity S906M/RF 9’6’’ 6-38g lure rod is it for me. Arguably even more impressive than the 9’ rod. Utterly effortless and more feel than I thought possible. Insanely good. Review here. Money no object, can’t buy in the UK, lure rod of the year 2018. I can’t take fishing next to my mate who owns this rod any longer, so like the tart that I am, I have added this truly stunning Tailwalk EGinn 96ML-R 9'6'' Max 35g to my collection. A huge amount of lure rod for the money, and I am starting to think that this particular Tailwalk EGinn might just be the best “available off the shelf in the UK” 9’6’’ lure rod I have ever fished with. Review here. Available here and here in the UK. I like to think I have used enough lure rods now to know when something that bit special comes along, and this Tailwalk EGinn 106M-R 10'6'' Max 45g is now my “next step in power but still lovely and light and finesse-like” lure rod. Amazing bit of kit. Review here. Wow I love this rod. You can buy this rod here and here in the UK. I am in love with this spinning reel and I find myself using it as much as possible. 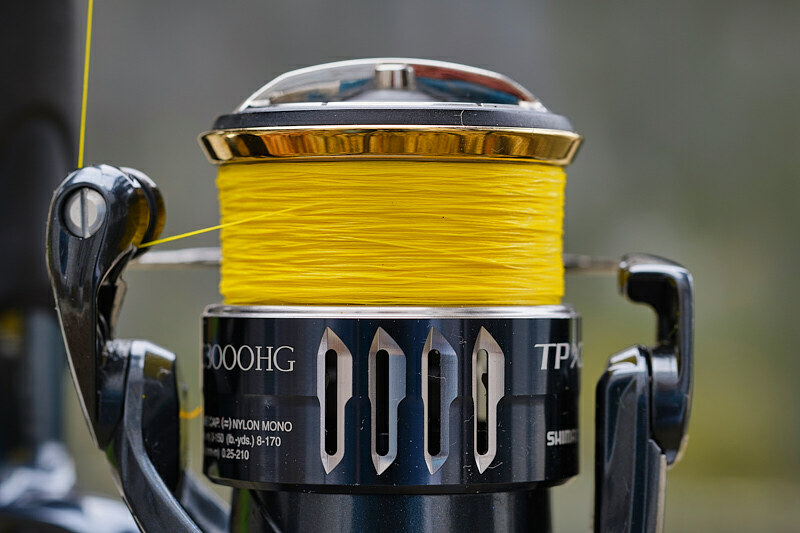 I bought a spare spool so that I can load up with a couple of different braids because this Shimano Twin Power XD C3000HG is so damn special to fish with I can’t help defaulting to it. Review here and an update after one year of hard use here. 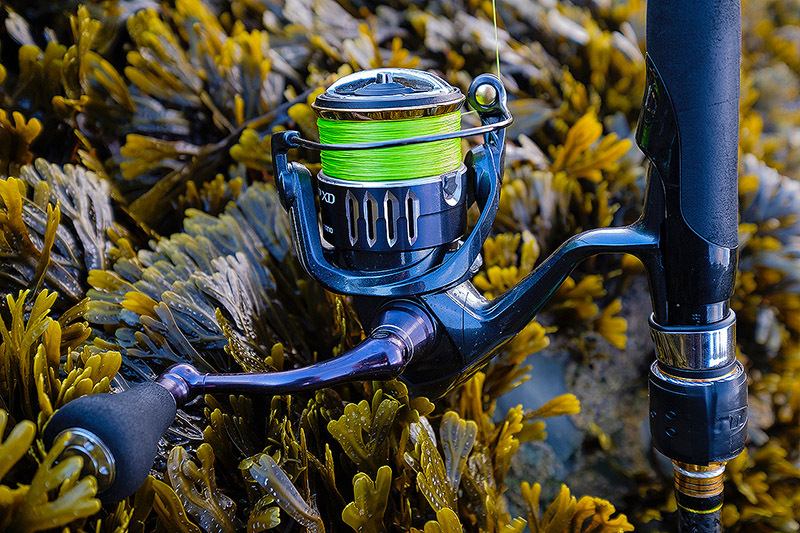 When the going gets tough and I’m expecting to ship plenty of reel-destroying saltwater, then this awesome and incredible value for money Penn Slammer III 3500 comes out to play. It’s a machine and I absolutely love fishing with it. Review here. I can’t see how a Japanese style 8-strand braid can get any better than this very smooth and supple mainline, and the fact that I can buy it for under £20 here in the UK seriously floats my boat. I like the “Hot Yellow” colour. Review here. A very tough, hardy kind of 8-strand braid that is as strong a braid as I have ever used, and when I am fishing around gnarly ground especially (a lot of the time then! ), this is the braid I default to. Serious class, and it’s a line that will live on your reel for ages. I like the yellow and bright green colours. Review here. Very tough, knots very well, I like the price, and I really like this Varivas Hard Top fluorocarbon for my leaders. Simple! You can’t go wrong with this Sufix Super 21 FC fluorocarbon as a leader material. Sure, it’s not one of the far more expensive and slightly stiffer and more abrasion resistant “serious fluorocarbons”, but it works perfectly and it isn’t at all expensive. Review here. 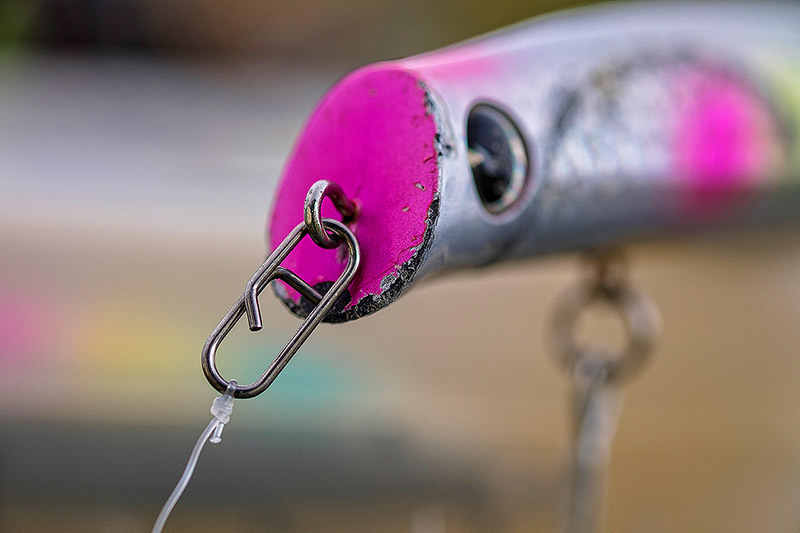 By miles the best lure clip I have ever used, this Breakaway Mini Link lure clip has performed flawlessly for me for a few years now and I can’t find a clip I like more. Cheap, simple, and perfect for my hard and soft bass lures. Review here. Available here and here (Ebay link).